No pictures from ten years ago- So you get this pic of my Inbred instead! Ten years ago on this blog there were no pictures posted for the entire week! I have no idea how I attracted readers back then, but I must have, because the thing kept growing here. Anyway, the chit-chat ten years ago was all about the "Nationals" that were to be held up at Nine Mile. That would be the 24hr racing "nationals" and was held up in Wisconsin. That used to be a pretty big shindig but I don't hear anything about it anymore. Of course, Jeff and Carlos were going up, the two mechanics I worked with at the shop at that time, and they were both sponsored by Cannondale at the time. It was a pretty crazy era at Europa Cycle & Ski then, as the guys would be chattering about training rides, strategies, what worked for nutrition, and gear. One thing that stood out to me looking back is how backward the lighting technology was then compared to now. There are lights these days that are self contained that run longer and are far brighter than the Cat Eye Stadium lights Jeff used to use back then. His lights were bright, for sure, but the battery was a water bottle sized affair, weighed a ton, and ran his lights for maybe a lap or a little longer. That meant he had to have a box of charged water bottle sized batteries just to get through one race. Crazy! The bikes they rode really, besides wheel size, have not changed nearly as much. Standards changed, yes.....but really. Those things have been done to accommodate incremental changes, different wheel sizes, or are just being done to be different. Lights, on the other hand, are in another universe compared to 2006. 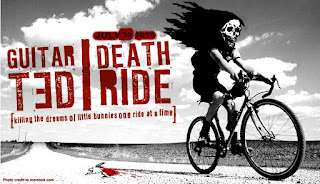 I'll be hitting the hay early tonight, as I will be at the start area for this year's Guitar Ted Death Ride Invitational tomorrow morning at around 5:00am or a little after. At 5:30am the ships set sail for a gravel road ride that should entail about 140-145 miles. We will be going through Traer, Gladbrook, Eldora, Dike, and Hudson Iowa. I know a lot of the course, but like every new GTDRI route, I leave some of it un-reconned so I can have some fun exploring new-to-me roads. Of course, this opens up the chance that something won't be right, but that's part of the deal. Discovery. Adventure. Fun. The weather couldn't be a whole lot better, if it pans out as forecast. Partly sunny, high of 78°F and a slight breeze from the Northwest? YES! That doesn't happen too often for this ride. I think the last time it was anything close to this type of weather was back in 2009 when it was also about a mid-70's day. Whatever happens with the weather happens, but this forecast is very good. I know of four solid commitments to show, so stay tuned to Monday's post where I will start the recapping of the 11th running of this crazy ride. A few people have brought up a couple of interesting thoughts on the new Fargo and Vaya that I thought I would share here today. First off, the Vaya has always been an odd duck in the Salsa model line, but it may be finding its legs now after many years in the line up. This post I wrote just over a year ago might be good to check out first for a little background on the place this bike has held in Salsa's past. The Vaya has a few tweaks this coming year that may start to bring it a bit more notoriety. First off, there are carbon forks on the steel Vaya now. Well, if you get the GX version. Salsa marketing now also touts that the Vaya can handle big tires. I think it always could, but they are just getting around to saying more about that now, after what? Six years or so? But anyway, they are claiming clearances for up to a 50mm tire without fenders. Prices are good with all Vayas coming under 2G now. However; they still haven't put Alternators on this model, which I feel is a big mistake. Heck- even the Marekesh has Alternators! But that said, the tire clearances seem to be getting attention in a few forums now. That has brought with it more interest from those who haven't liked what they have seen in the new Fargo. The Vaya Claris model in Brown, the same color Vayas were in 2010! The new Fargo moves even more into "dirt" territory with B+ wheels, Boost spacing, and a slightly slacker head tube angle. 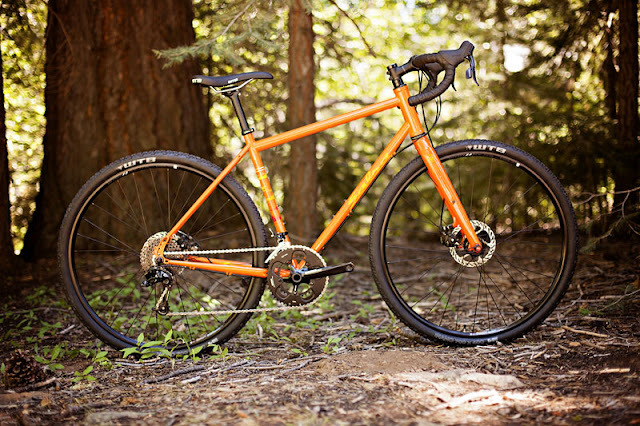 While you still can push it backward towards being the rough and tumble gravel rig for events like the Dirty Kanza 200, or for touring gravel, it is apparent that Salsa is talking more in terms of off-road bike packing now with the Fargo and the finishing kit shows this shift in attitude. The top of the line Fargo is a 1X mtb drive train now and if you look back, it is a far cry from Gen I's 48T big ring triple crank. The Fargo is truly the drop bar mtb that it was intended to be all along. That isn't wooing gravel riders like it once did. 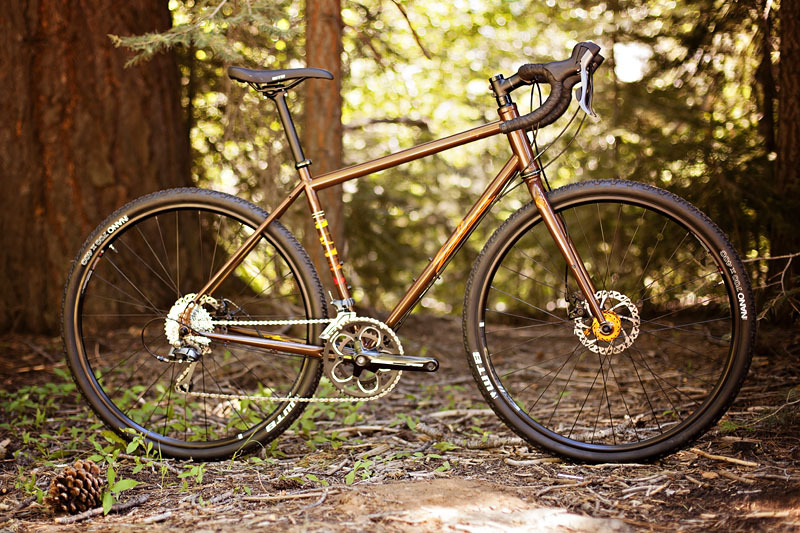 The Vaya, in contrast, is being sold as a big rubber, all-road adventure bike for 2017. A story line many attributed to the Fargo in days past. 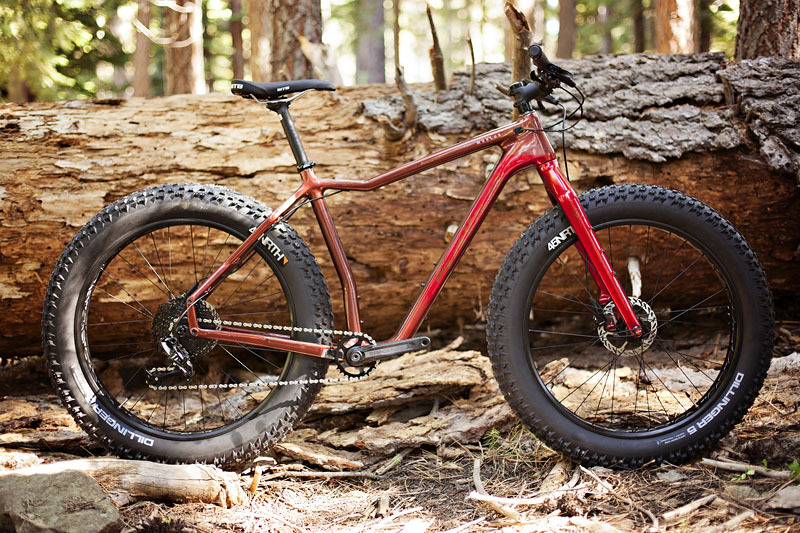 The thing is, are 50mm tires big enough for the Vaya to be what the Fargo used to be seen as? Should the tire clearance allow 2.1 29"er tires on a Vaya? With the addition of Alternators, does this then become the "ultimate Gen I Fargo"? In my mind, the Gen I Fargo is something that deserved to be tweaked, refined, and was maybe what the Vaya should have been all along. However; the market wasn't ready for that in 2009. Then again, maybe a nice, springy steel frame is what the Vaya really needs, and it should maybe lose the touring moniker, since, ya know, you have the full on touring rig in the Marrakesh. But what am I thinking......The Q will never make a frame that doesn't survive "Zombie Apocalypse Testing Standards", so any hope of a springy steel frame from Salsa is a pipe dream. One more time, right? Well, I have to, really. See, it is my shoulder, the one that I bunged up last Winter when I fell on slippery ice. That left shoulder has never been the same since. I opined about this back a couple weeks ago when I rode that 83 miler with Marty. I just cannot tolerate a long ride on anything else but a Luxy Bar right now. That shoulder deal will put up with the Cowbell and that FSA bar on the T-6 for about two-three hours max. I plan on being out for up to 14 hours Saturday. So.......yeah. That isn't what I need to be using right now. The other good thing is that I have that Cirrus Cycles Body Float post on this Fargo, and that will also go a long way toward promoting comfortable riding all day long. And, as you can plainly see, I am all bagged out for the job as well. Plenty of room to carry the water, food, maps, and whatnot. Have an excellent weekend, y'all! Part of my commute to work everyday. I got a new set of Challenge Tires to check out for RidingGravel.com the other day and I decided to do a "close to home" ride to get to know these new treads before I dive into some "out there" ride on gravel. Well, as I was riding along, I was thinking about a few things. First, I thought that it is kind of weird that we don't think about our "own back yards" as a place to find adventure much. Oh, there are folks who do this, but I think many do not think they can have an "epic' ride unless they go to Colorado, South America, or Finland. Ya know what I mean? It's as if these certain sites and media wonks have made it so that unless you have some grandiose back drop for your bicycle ride, you can't be having a "real adventure". Now there's something all the "any bike is an adventure bike" complainers should really be getting amped up over. Forget about the bike, it's all these media sites cramming their "We went to Uruguay to ride the spine of a Piranha" crap that is dumbing down cycling adventures. I mean, we look at that stuff, realize we'll never get there, not to mention be able to afford it, and we get all down about our mundane cycling we do get to do. We don't measure up. That's a pile of horse crap, by the way, and you can have a fantastic adventure wherever you live if you open your eyes up to it. So I thought, hey! I have some pretty cool and varied terrain right within my city limits. 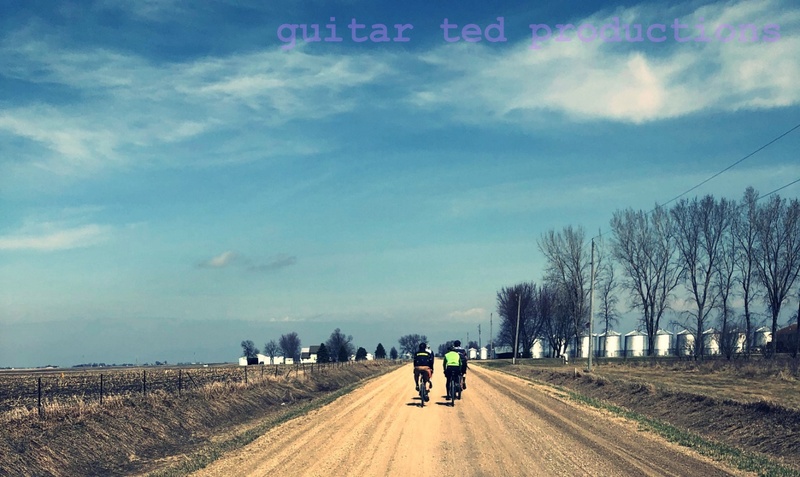 So, I figured I would string together a ride to hit up a multi-terrain route and never leave the city limits of Waterloo/Cedar Falls, which blend together so seamlessly that you never know when you've crossed the border between the two. I count it as one municipality, so there! Most town/city cyclists I see do not have a clue on how to string together a route that has low/no traffic. I see so many folks riding their bikes on routes that they would drive cars on, it isn't even funny. In fact, it is down right dangerous. Invest in time to explore different, safer, and yes......more circuitous and lengthy options. It's riding a bike, for crying out loud, so if you like that, you should want the ride to take longer. That's my take, anyway. It also leads to exploration, discovery, and yes- adventure! You know, the whole reason you probably rode away from your home when you were a kid in the first place. Relive that! Why do the county roads, same ol' training loops, and the closed loop bike paths over and over again. Take the path less pedaled, and less car driven. You'll find some cool things you never knew about your city before. I know that I do whenever I find a route, street, or path I haven't ridden on yet. Which is getting harder to do the longer I live here, by the way! This used to be a trolley car track. Now it is a dirt path. I hope they NEVER pave it! Bushwhacking a short bit between other more open bits. What amounts to a B Level Service road in the city limits that is closed to traffic. Most folks would never explore around enough in the darkened corners of their locale to find the little gems, probably, but they should. I ride some odd places, on the surface of it, but I have a ton of fun and I strung together a ride today that lasted just over an hour that had every type of surface you can think of, short of cobble stones. I had perfectly smooth pavement all the way to busted up, crumbling chunky pavement. 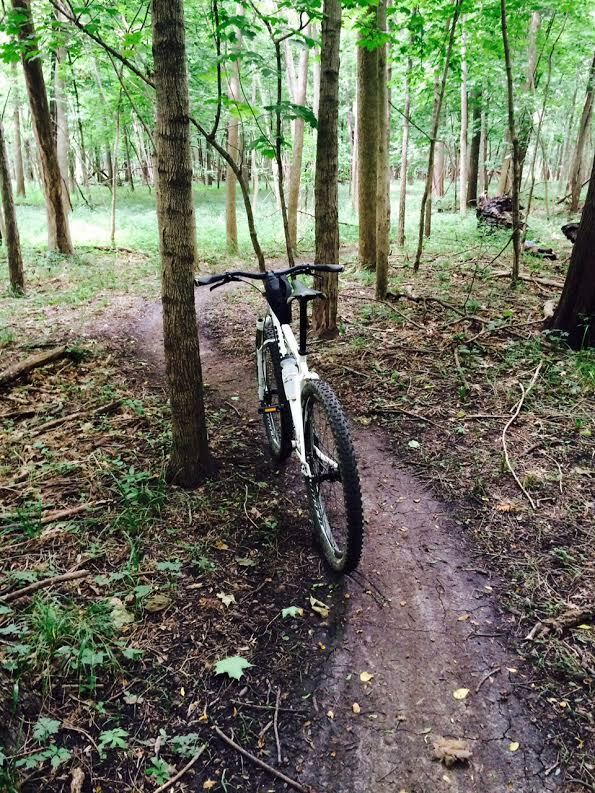 I had smooth dirt, gravel, sand, and even a rooty drop in from a park to a sidewalk. I had a steep, insane grade paved climb, a steep, insane grade dirt climb, and I bushwhacked an overgrown short cut in between. All within the gritty confines of my city limits. Hidden gem- alleys. If you are not riding alleys you are missing out on a great amount of fun! One of the best routes I can string together here is almost all alley ways. We have mostly crushed rock alleys here in this city. Miles upon miles of them. 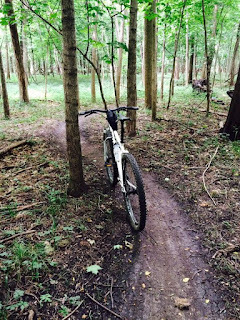 They are a great place to ride, see stuff, and be away from traffic. Well, except maybe at intersections, but yeah......go ride alleys! I have ridden in alleys since I was able to ride when I was a kid and I plan on doing that till I die. So much fun to be had right here where alleys are all over the place. So, if you have a crumbling infrastructure, rejoice and have fun with it! There are a ton of places to go have fun, even if the back drop isn't a high Rocky Mountain pass sign, or some exotic foreign landscape. Find adventure right where you live and don't let anyone say to you that it isn't as good as some far flung location with exotic names. The venerable Vaya- A throwback color? The first Vaya was brown, as I recall. More thoughts on the rest of the 2017 tweaks to the Salsa and Surly lines are in store here today. First up, the Vaya. This hasn't changed a ton since it was introduced nearly 8 years ago. 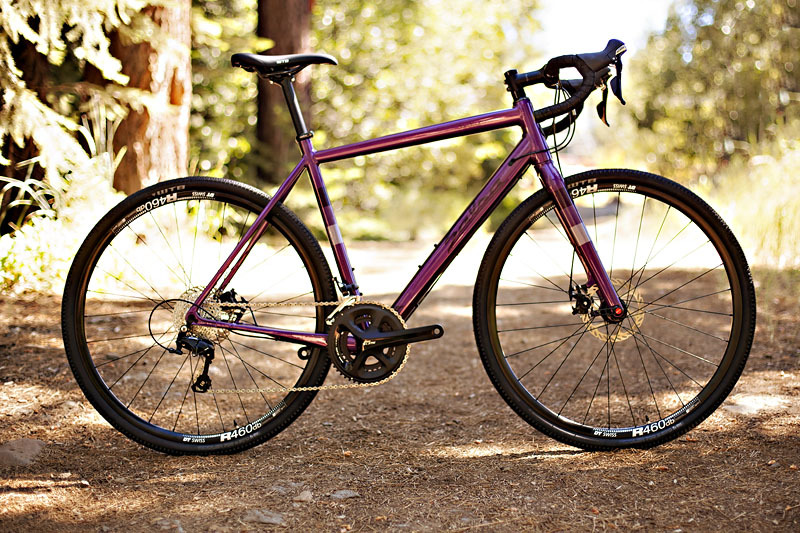 We see a larger, tapered steer tube compatible head tube, and a carbon fork option now, but other than this, the Vaya is much the same steel touring/gravel/all road bike it has always been. And that's a good thing, in my opinion, because a bike like this- sensible, value packed, and versatile, is rare these days. The Vaya gets even more practical for 2017 with the addition of an 8 speed Claris equipped model. Great bike and I am glad to see it is still around. 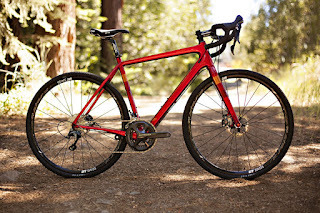 (No more Ti Vaya, by the way) Even though I just parted out my Vaya and sold the frame/fork, I really do like this bike most as a gravel road racing/riding/exploring rig. I'd not turn my nose up at getting a chance to ride another one of these great bikes. Warbirds are largely the same for 2017. I like purple.... Ha! This is an Alu frame 105 spec bike. This bike is really a great road all arounder, even though it is heavily pitched as a gravel racing bike by Salsa. We like to think of this rig as a "Domane with huge tire options". 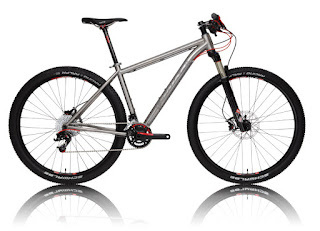 It really works as an endurance roadie bike with sensible gearing and a truly smoother ride, even in aluminum. There is a top shelf, Ultegra hydro Carbon Warbird now. I noticed that the striped graphic is a bit more subdued this time, and the WWII inspired color schemes, (along with that Rasta one), are replaced now with tasty, nice, unoffensive colors instead. They added fender mounts, finally, to an otherwise great choice for gravel road competition riding. I have not spent quality time with a carbon version of this bike, but I am hoping to change that this coming year. The aluminum version really does work as advertised, so I can only imagine that a carbon Warbird is a pretty sweet ride. I like that Salsa gave riders a Shimano choice in spec for a top end 'bird. The Ultegra 11 speed group works great on gravel, as I have found in two years plus of using it. I also have SRAM on a bike, but to my mind, Shimano's stuff, at least the road groups, are a head above SRAM in terms of performance. Last year's carbon 'bird was SRAM only, so that was a bit of a turn-off from my perspective. Supply chain logistics made Warbirds a tough bike to get in 2016, but the promise this coming year is that they will be much easier to come by. I suspect I'll see a lot more of them around at the gravel events I attend in 2017. Dang if I don't love a nice, sensible, urban oriented, versatile bike. They make doing a quick errand, going to the local farmer's market, or meeting folks at a bar a practical, fun thing to do. They save you a ton of money, wear and tear on the vehicle, and get you healthier to boot. Plus, who doesn't like riding a bicycle for fun? Seriously! So when I see this flat bar Cross Check for way under a grand retail, I get really excited at first. Now this is really getting to the core of it! But then I realize that many folks that would jump on this don't see the value unless it is half of what Surly is asking for it, or more than half of that price less. It's like there is some disconnect between what people in the mainstream see as a price for a bike, (Mart bikes), and what these quality, purposeful, value packed rigs should cost. I am afraid that until the industry can figure out how to bridge that gap, bikes like the flat bar Cross Check, which should be in every freakin' garage and apartment, will be mostly lost on deaf ears because it "costs too much". Maybe if it had an iPhone attached and came with an electric assist motor and a free Pokemon Go! capture guide book or something........ Bah! World Tour '17 and beyond! The new Troll. 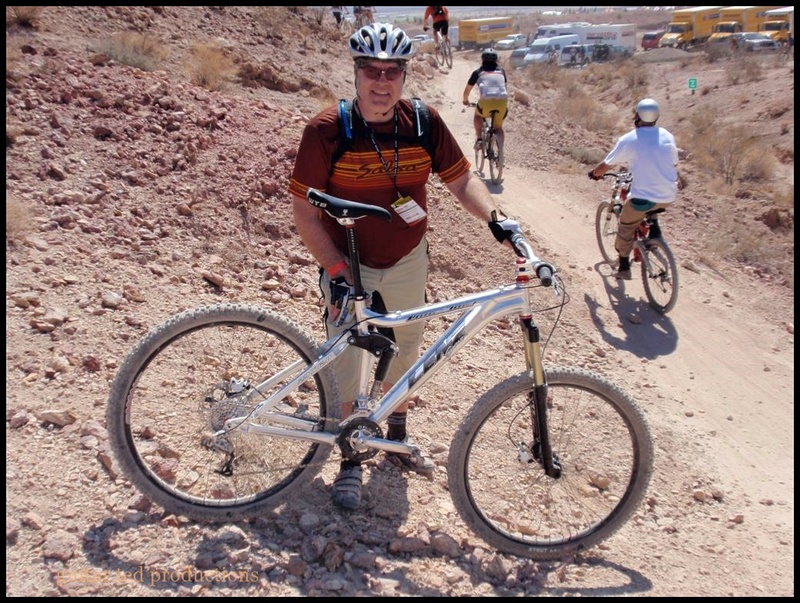 Back in the day when I did my loaded tours, (Search "Touring Tuesdays), I did them on a 26 inch wheeled mountain bike. It was my opinion back then, and still is, that a good, purpose built 26"er was going to be the ticket for a solid, reliable touring rig. In fact, back in the day, the shop where I worked had a race team that was sponsored for a year by Croll Cycles, a semi-custom shop out of Minneapolis, Minnesota. (By the way, it is where Erik Noren of Peacock Groove got his start from). I always thought they should do a 26"er touring bike and call it the "Croll Troll". Ha! Anyway, there is a Troll touring bike and it has 26"er wheels. Weird, huh? It isn't a Croll, but it is a Surly. I like it more than I did because Surly finally decided that it didn't need to be suspension corrected. Kudos! More of this needs to happen. (Hello! How about a non-sus corrected Fargo?) And it has the excellent Extraterrestrial tires on there, which I like a lot. I could totally see this as a 1X1 replacement vehicle for myself, with the ability to go full on touring mode down the road. "Fat Fargo" straight from the factory. Fargo Gen V: The Fargo may look kinda the same, but it really is pretty much a new bike for 2017. The frame is still steel, but that's about it. Now made in the "Cobra-Kai" tubing instead of the old "Kung Fu" used previously, the frame is said to be "stronger", (stiffer?) than before. Plus, it now uses Boost spacing, although reducer plates are available for backwards compatibility with 135OLD and 142 through axles. Boost is important here because now you can run real 27.5+ wheels and tires. "Real" because Salsa believes 27.5+ means a full three inch tire. Of course, 29 inch wheels and tires work here as well. The weird thing is that they are saying 29+ works on every Fargo but the smallest ones, which isn't clear to me now. (By the way, that means the Deadwood is.....er, dead!) I'm not sure how that doesn't jack up the bottom bracket sky high, but I've been tipped off that there is some magical Alternator plate that makes that work. I'll find out and report back later.... Oh yeah.....it is belt drive compatible as well. The Mukluk is Salsa's first fat bike model and has always been the one that was more "adventure-exploration" than "race" which is the Beargrease's game. The Blackborow kind of made the Mukluk an off-the-back fat bike with its more trail/progressive geometry and nimble handling all wrapped up in 4.8" tires, which Mukluks couldn't handle on 100mm rims. 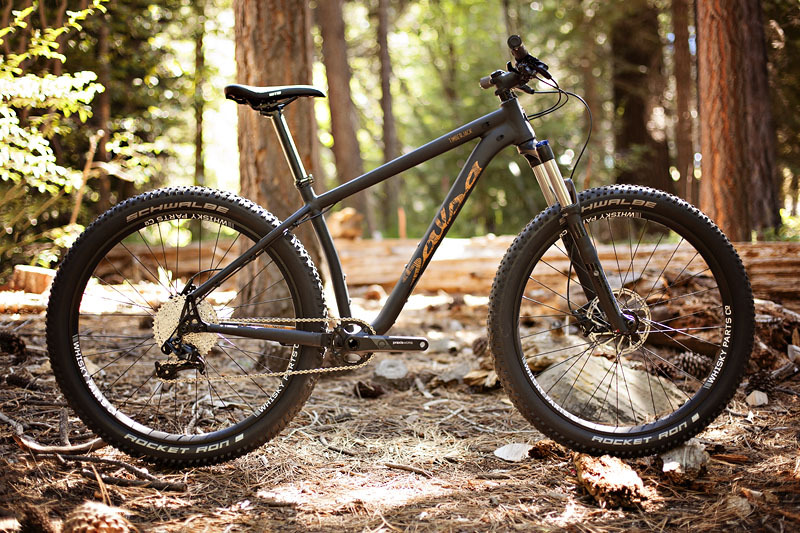 Well, Salsa fixed that by calling the Blackborow a Mukluk and introducing a carbon frame as well. This bike still has the Alternator drop outs, albeit a new, carbon fiber compatible one that allows tuning of the chain stay length for tire size. The aluminum Mukluk has the original Alternator drop. While I like titanium for a fat bike a lot, the carbon Muk is sure going to be a hard one to pass by with its lighter weight. Salsa says it fine tuned the layup of the carbon for a more compliant ride than the Beargrease, so that sounds even more enticing. Would it fit those crazy 5-point-whatever inch Vee Tire Snowshoe XL's? That would be cool if so. I could totally see the soft compound version of that tire, the creme colored one, on the red Muk pictured here. That would be cool. There are several models of the Carbon Muk and a couple aluminum ones as well. Okay, with that said, here's the deal- Something had to give with the El Mar. It was woefully out of date, not a competitive bike in the market place, and it hasn't been for years, by the way. You can get all teary eyed about the steel, the tradition, blah-blah..... 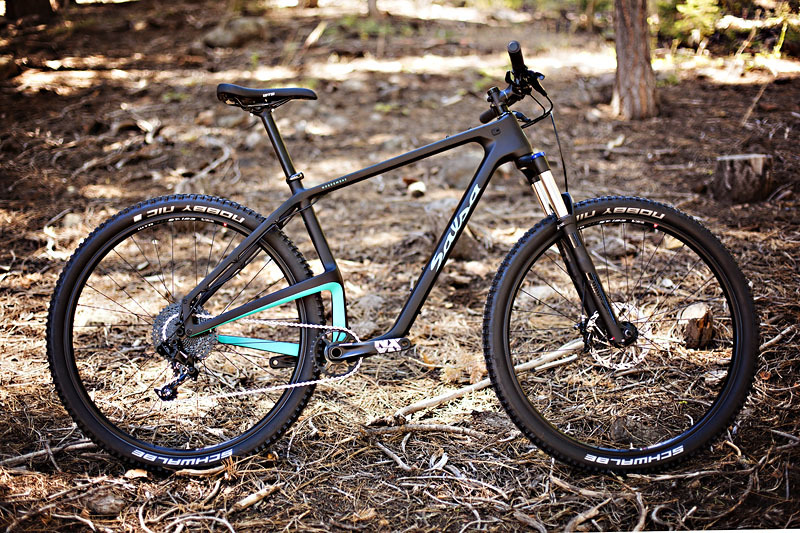 Meanwhile bikes like the Canfield Nimble 9, Diamondback's Mason, and others had blazed a trail of long, slack, and low hard tails that are ubiquitous in the hard tail trail market now days. And they did that years ago. The El Mar was a dinosaur. Either Salsa brought it up to date, or created a new model. This bike is so different, I can see why the new moniker was brought in. Timberjack brings Salsa into the "hard tail du jour" category and also brings with it a decent, affordable price which the El Mar didn't have. Okay, here's the showstopper, folks. 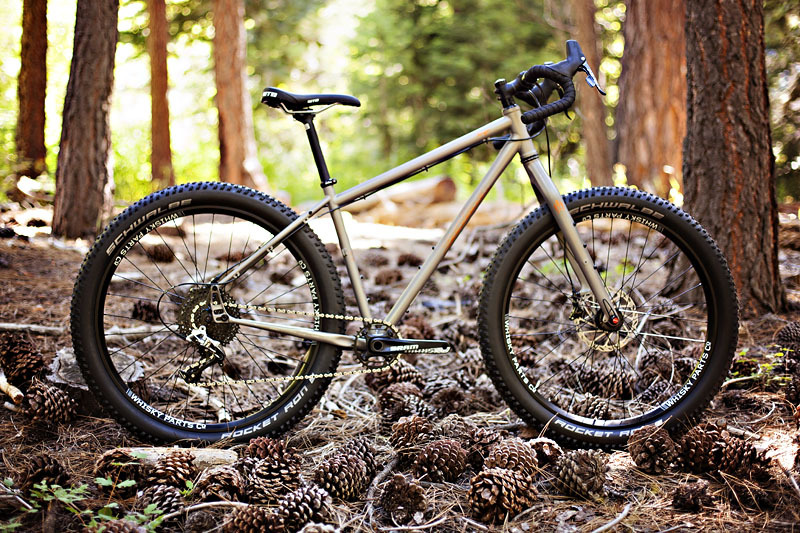 Salsa Cycles Woodsmoke "all-wheel" monster-bike. Same frame, three different wheel sizes. If you can't fall in love with anything you can stuff under this frame, you probably are a 26"er holdout, or a roadie. That's the idea here. 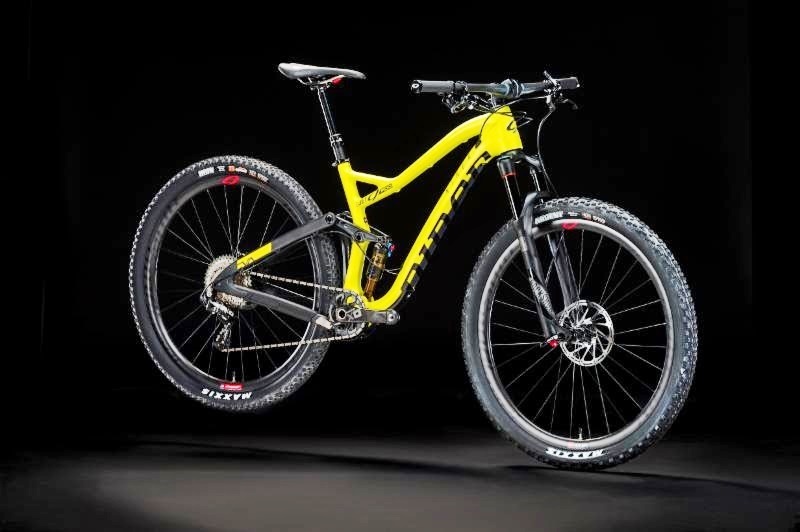 Alternator V2 drop outs, all models have the same carbon frame, and suspension travel is mostly 120mm with the exception of the one 27.5+ model that has a 130mm fork stock. Boost obviously. Stache-like, yes, very. In a gangly teenager sort of way, to my eyes. The once weird Stache actually looks somewhat refined after seeing this mash-up of bent shapes and swoops in weird spots. Oh! But you say that at least it is carbon fiber? Well, Trek is coming out with a Carbon Stache, so there will be that as competition. Anyway, Salsa does have the Stache beat when it comes to all the wheel madness, or so it seems now. 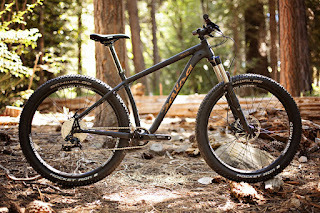 Acme Bikes posted this image of the new Karate Monkey from Surly. Just like the El Mar, the venerable Karate Monkey had fallen on mediocrity in the market place. The Instigator V2, which came out a couple years back, kind of made me wonder when, or if, Surly would wave that same trail geometry wand of power over the Karate Monkey. To me, it made perfect sense. And guess what? They finally have done it! The new KM will sport either 27.5+ X 3.0" tires and wheels to match, or your 29"er X 2.5" meats on the 700c format. There is a "yellowy-orange" geared version with the 27.5+ wheels or a purple SS 29"er that will be available and the frame only version will be in black. Surly had a demo in purple set up with the geared 27.5+ stuff and that's the way I would do this bike up. Unfortunately, I'd have to get the SS 29"er set up to get there, but that's okay. Two wheel sets, one bike, right? Not only that, but the rigid fork that comes with the bike has rack mounts, triple pack bosses, and would make for a great off-road touring set up. I can dig it! Purple is also my favorite color. Yes.....I could be seriously tempted. Same slack, long, low-ish trail geometry as the Timberjack, but in steel. I have a Singular Buzzard which is cool, but a SS-able, versatile, bike-packable, rack-able Karate Monkey has my name written all over it. Of all the new bikes here, I am most intrigued by this one. Note: All Salsa Cycles images courtesy of the Salsa Cycles website. Stache pic pilfered from the internet. Acme Cycles had the KM pic on their Facecrack page. Go "plus" or 29"er, but will you really ever change one to the other? I have been having fun lately looking around at the landscape when it comes to mountain biking. I stayed away from it all for a while after I left Twenty Nine Inches.com, because I needed a vacation, a "clean break", and I was focused on my new RidingGravel.com gig 100%. However; enough time has gone by now that I feel better about taking a peek, and, well......I still get "Dirt Rag" every month, so that teases me to stay abreast of the latest stuff. Anyway, things have evolved a bit since I was last really paying attention. You know, it seems to me that a good way to look at things concerning mountain biking is to put whatever you are looking at in a historical context, because when you do that, you begin to see a clearer picture of why things have come to the point that they have. Case in point- all these damn wheel sizes. It's enough to make you go batty, and really- is it all even necessary? The other thing is that I don't think I've seen more vapid, nonsensical comments about bicycles than I have lately. Things like, "all bikes are adventure bikes", which folks like to use against bike packing rigs, gravel/all road bikes, or whatever they deem "unnecessary" in cycling. You know, we get it. Of course "all bikes are adventure bikes". Duh! It's the reason we all started riding in the first place, most likely. So, anyway, here's the thing folks, for years we had no choices. Historically you can go check this out. Just look at the past- 26 inch wheels only. 2.25" tires were the widest thing you could find easily. Everybody ran a NORBA geometry bike. If you don't know what that means, don't fret. It just means that all bikes handled pretty much identically one to another. Blame it all on those pesky 29"ers. Even full suspension bikes didn't deviate much, if at all, from the template for a mountain bike. Heck, folks would lose their religion back then arguing that riser bars would ruin the handling of a hard tail bike. We won't even get into the bar ends or not debate! All that to say that it seemed to me that the lid was taken off Pandora's Mountain Biking Box when 29"ers came around. Oh oh! Now wheel size was in question. That had never happened on a large scale before in the modern mtb era. Then Gary Fisher unleashed this idea that fork offset was something to toy with. Look folks, if you don't know, please understand that fork offset was something no one thought about before 2007. Now? 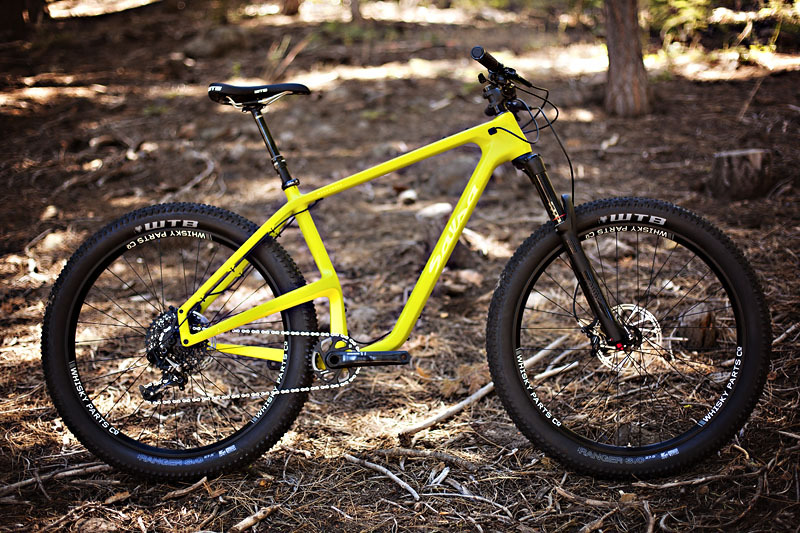 Heck, it is mentioned in nearly every mtb bike review you pick up these days. That was all due to 29"ers. Wheels and geometry suddenly were all opened up for experimentation in a way that riders hadn't seen since the early 80's. Then fat bikes came along, and when those finally became viable, affordable bikes in 2011, things got pushed out fatter and wider on all fronts. Suddenly even road bikers were talking about fatter tires and wider rims. That brings us back to my original question, "why all these wheel sizes?" Well, it is because folks were digging all the new ways to enjoy cycling. More ways than ever before. Variety brought more interest, and that brought more sales and dollars. Manufacturers, eager to cash in, jumped on any trend they saw after letting the 29"er thing get away from them, in many cases. That won't happen ever again, by the way- a trend that grew organically and wasn't marketed down our throats. Heck, most brands had marketing guys back then that hated the idea of 29"ers and weren't afraid to say so. Now? Ha! Make a "plus" bike with Boost spacing? Get the factory on it, pronto! But is that a bad thing? Well, look at the flip side, we could all be riding 71° head tube angle, 73° seat tube angle 26"ers with 130mm stems and "broomstick" handle bars yet. Those bikes could all be running narrow rims with 2.1"er skinwall tires. I mean, they all are adventure bikes, right? Yeah........right. The reality is that almost all these plus sized, slack angled, different wheel size bikes are not only better at the jobs they are intended for, they are more fun. Maybe some choices will fall by the wayside, but c'mon! We aren't going back to "one geometry/one wheel size" ever again. Okay folks- Here is the route. I'm not sure if you can make this work for a Garmin device, or if it is useful at all, but this is how I am sharing it! I will have the cues with me, and since this is a no-drop ride, we shouldn't need any more cues, but just in case anyone thinks they may need to bail out, I would use this map as a means to plot your escape. Looks like we'll have about 5 or so that I know of including myself. Should be a good time. Nationals, that is the 24 hour MTB Nationals, were soon to happen back then. I talked about how Jeff and Carl were gearing up to compete in that event. The Tour de France was winding up, and that too good to be true ride Floyd Landis had in the Alps happened. What did they say about things that appear to be too good to be true? Yeah...... This was the straw that broke the camel's back for me. I swore off Pro road cycling fandom after Floyd's disgrace. A "big deal" in the history of 29"ers occurred when Cannondale finally came out with the news that they were going to do a 29"er. The big deal was that it was going to be a hard tail, geared specific bike with a Lefty. At this point, Lefty's for 29"ers were an aftermarket hack, and an "official" Lefty for 29"ers was a welcomed addition to the Rock Shox Reba, which was the only other "real" suspension fork for 29"ers at that time. 29"ers in 2006 were still such an oddity that it was noted that only two major manufacturers were even offering them- Fisher and the soon to be available Cannondale. Raleigh and Haro were about to enter the market as well. The key to the new drive train. My Ti Muk is a little overdue for a new drive train. What better time to try something new then? Well.....hold on a minute! Actually, this idea is reminiscent of the very first drive train this bike had. That would be a 1 X 10, which I ran for quite a while on the Ti Muk. Well, now all the cool kidz are running 1 X 11 drive trains, so, hey! I may as well give that a go now, I figured. So, I have invested into a SRAM NX shifter, rear derailleur, and cassette. The final piece of this puzzle came in the other day. That would be the Surly XSync chain ring in a nice, low 28T size to fit my crank, which is the venerable Surly OD Crank. This ring replaces the two I have on there now. While I am not a convinced rider when it comes to eliminating the front derailleur, it is something that does make sense for a fat bike. Why? Because the rear tire generally is dumping all sorts of garbage downward right about where a front derailleur resides on a seat tube. That means a clumping of debris that can stop a rear wheel from turning, in certain situations. No derailleur means less, or no clumping of debris. A good thing when you are swamping through the mire or dredging through sloppy snow on a fat bike. The good news on gearing here is that the 28T ring in the 42T low gear on the NX cassette means I have an equivalent to a 22T X 36T which a triple or 2X system would have. I rarely have ever had to get that low, but I have done it a few times. With this 1X set up, I do not lose that range. The NX cassette fits on a standard Shimano free hub body, so I "only" have an 11T high gear on the cassette, which is a pretty slow gear in a 28T cog up front, but this isn't a speed weapon folks. 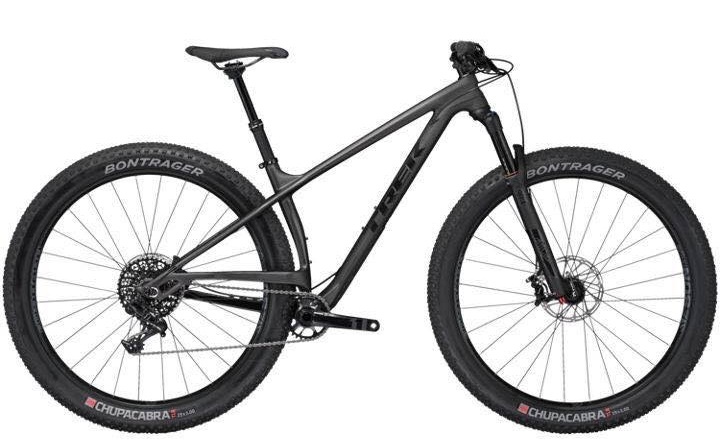 This is a fat bike. It's a faster gear than my Blackborow DS, and I was fine on that all last Winter. So, top end speed will be fine for what I intend on doing with this bike. A 1X drive train also will allow for a tiny bit more tire to chain clearance. The final advantage is that the chain gets moved a tiny bit more away from the tire when I will be in the lowest gear. I am hoping this will allow me to squeeze in a Lou tire in back. If I can manage that, and have better traction, I think then I will have a great bike for many conditions I see around here. Finally, with the addition of the new fat bike for my son, and the tear down of the old Mukluk frame, I now have the original Enabler fork back for possible swapping in here when/if I need more carrying capacity. So, I feel it is all coming together here to make for a great set up. Imagine something like this in aluminum, less wide BB, and with "Salsa" on the down tube. 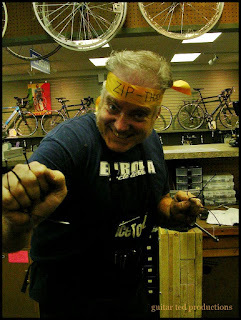 So, the big deal coming up this weekend in the bike biz, (no- not RAGBRAI! ), is Saddledrive, which is where QBP launches news of new bikes across its various brands. 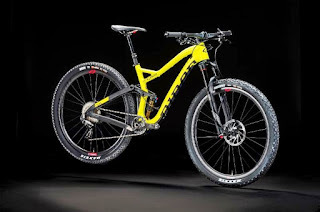 Salsa Cycles has been due to revamp their mountain bike hard tail range for several years. Rumors have been rampant, and totally based off of this thread on mtbr, you can expect that the following things might become reality by Monday when the press releases come out. 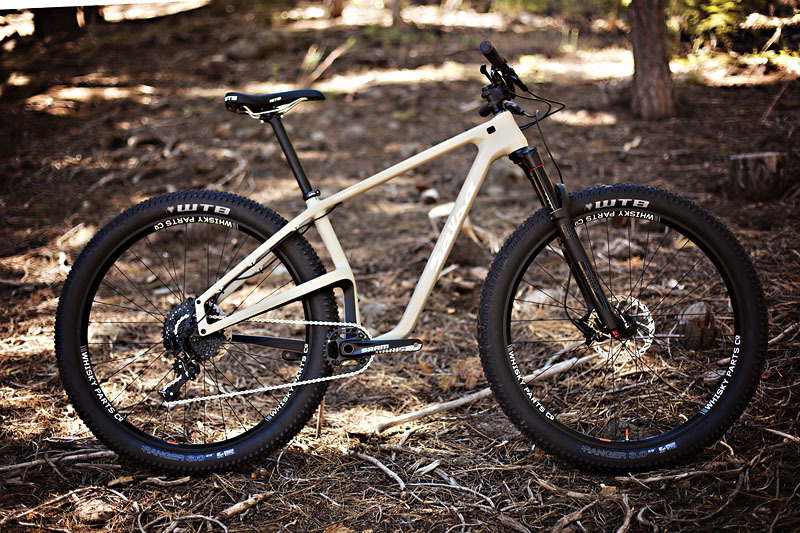 A 29+ hard tail dubbed the Woodsmoke. Something new in their fat bike line. Small changes to the Warbird. Boost frame/fork Fargo capable of running either 27.5+ or 29"er wheels. I am a fan of all things mountain bike, and historical stuff is right up my alley, as far as interesting things go. Mr. Archer was a fine resource, keeping the MOMBAT site up to date, for a long time on the internet. In fact, I was aware of his work on the web before it was called MOMBAT. I would often look at the entries made as the site grew and be reminded of the past or learn many things I never knew about brands and the products and bicycles from the earlier days of mountain biking. In many ways, Mr. Archer was similar to the late Sheldon Brown as far as the depth and breadth of knowledge compiled on the MOMBAT site. I had a brief, over the internet, contact with Mr. Archer when I reviewed a handle bar from his Mountain Goat brand, which Mr. Archer revived. He was always kind, graceful, and quick to respond to my e-mails. I am sure there are many, many more out there who have had similar experiences with him. He will be greatly missed. Hope that you all have a great weekend. As the boy grows, so must his bikes get bigger! This weekend is my son's thirteenth birthday. I bought him a fat bike when he was ten, I think it was, and since kids grow, well, it was time for a new sled too. This time I went with a different brand, Origin 8, and I got their XLT Scout model, an aluminum frame that came with a head set and seat collar. This will be the story of how the boy's bike came together. The old rig he had was an extra small sized Mukluk. Well, Salsa Cycles had a recall on the forks on those bikes. Since I had one, I was in line to get taken care of, but when we heard that forks were going to be scarce due to that dock strike back in '14, I decided to take myself out of the queue and wait till later so our shop's customers would get their forks. I had a steel Enabler fork I used on my son's bike in the meantime. Well, time went on and I forgot all about getting that new fork. Anyway, the kid grew, and it became apparent that I was going to have to get him on a new rig this Summer, ostensibly for his birthday. 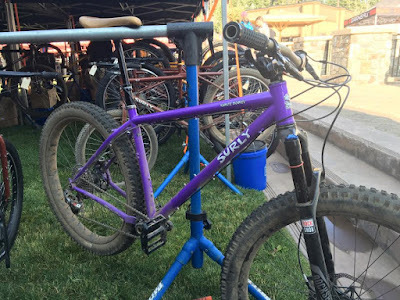 That gave me time to pull something together, and when I finally got the fork for his Mukluk, I was going to put it on that bike since I do not have any other fat bike that a tapered steer tube for would work on, that is until the Scout XLT came along. This frame came at a killer deal to me, but with no fork. Fortunately, I had the new carbon Salsa fork to go in there, and the old Mukluk was originally slated for mothballs because my son pleaded with me to keep it as it was. He really is attached to that thing! That meant I needed wheels. Well, "New York" Roll, a friend I know in town, was trying to ditch a pair of Beargrease wheels he had and no one was wanting them. I got them for the kid's new bike project. Good deal for me as far as the front went, since the Salsa fork is a through-axle type, and Roll's wheel was as well. Bad deal because the Scout XLT has a QR rear drop out and Beargrease frames are through axle. But wait! I could get QR end caps, right? Surely someone would have those. I've got to cut the steer tube to length, but the bike is ready to ride. Well, I asked at work about it, but after days of searching, we couldn't scare anything up. So, I put the word out on social media, and I got a bite and was provided with some end caps, but they turned out to be the wrong ones. I was standing in the basement looking at my project and decided that I was not only short the end caps, but I would likely need a crank, bottom bracket, and maybe some other small parts. That's when the hammer fell. I decided that I didn't really want to have an entire fat bike just sitting around, and that evening I stripped down the old Mukluk frame, which solved several problems. Rear Derailleur: SRAM X-9 9spd. Quick Release: Salsa rear- Maxle front through axle. Where Are The Non-Believers Now? Wait a Gol durn miniute! They were doin this in '08! Image by mtbr memeber "crashtestdummy"
"Nope, it can't be done. And even if it could, they shouldn't, because those big wagon wheels are just too heavy, fragile, cumbersome, and make a bike handle like a truck. " What is it that I am talking about here? Well, if you go back ten years ago, that was the the common response to anyone asking why there weren't five and six inch travel 29"ers. The common wisdom at that time relegated 29"ers to single speeds and maybe a full suspension XC racing bike. Maybe. This was when 26"ers ruled the long travel category of the mountain biking world. You remember long travel 26"ers, right? Boy! Have things changed in the last few years! Of course, they were all wrong even back then about 29"ers and long travel. Many won't remember, or even care, but credit for shoving the long travel 29"ers in the face of a disbelieving mountain biking world has to go to Devin Lenz and Mike Curiak. Devin was, and still is, the mad scientist at Lenz Bikes. Mike Curiak was, and maybe still is, somewhat of a brand ambassador for Lenz. 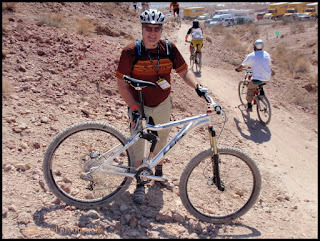 I actually rode a 5 inch travel 29"er in 2007 at Interbike courtesy of Lenz and Curiak. By the way, the bike actually worked really well. Then the following year I got to ride the newest, six inch travel version, and the following year Lenz brought a seven inch travel model to Interbike. So, yeah.....pioneer, ahead of his time, and all of that. I think the deal was back nine, ten years ago, was that there were no good components to go with the ideas. Lenz was using cobbled together forks from Manitou and White Industries. Tires weren't anywhere near what was needed to really get the platform working to potentials, and rims were hard to find that were wide enough, and stout enough. Still, it was plain for any big company engineer to see that a long travel 29"er was, indeed, not only possible, but worthwhile to check in to. The 2017 Trek Slash ultra-spectacular enduro machine of doom! As I said, I actually had the chance to pilot the six inch travel version of Lenz's bike courtesy of Mr. Curiak, (that's me above with said bike), and I was dutifully impressed to the point that I seriously was considering buying one. Like I really needed that kind of a monster! But the bike was so fun, handled so well, and was so capable, I wanted one despite the fact I needed it like I needed another hole in my head. So, wisdom prevailed, and I passed on owning a piece of history. The thing was, all that time the naysayers were putting forth all their efforts to slam the idea of a long travel 29"er. Then 27.5"ers hit the scene hard in 2012, and, well....... I figured that was the nail in the coffin for any long travel 29"ers, and so did most everyone else. I had different reasons for thinking that way, but I never saw this day coming. Apparently tinkerers and mad mtb scientists still inhabit the sport, because somewhere along the line, enduro racing was infested with 29"ers. You know, enduro racing? The whole reason long travel 650b bikes were taking over the 26"er bike category and killing them off? Remember that? The industry foisted the move on the market as the heat of the 29"er craze was waning in order to boost sales up for a bit longer. Well, that basically, in my opinion, not only killed 26"ers, but made 650B a thing it would never have become unless the industry did what it did back then. Anyway, somewhere along the way, 29"ers started winning enduro races. Lots of them. Then companies started to take notice. Bigger companies, with bigger influences that could get things made to, ya know, actually make that old idea of a long travel 29"er that Devin Lenz was doing all along actually have cutting edge technology. Now we see the Slash 29"er with 150mm travel rear and 160mm travel front coming to the fore. A bike with a promise to be a very capable, maneuverable, robust, light, and better than anything else out there. 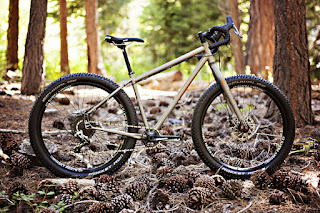 The Sparwood is Teravail's widest gravel tire at a claimed 2.2" width. Okay, first off, these views are based upon my recent experiences with this tire and on observations I've made of others bikes and comments made by others who use these tires. I had to buy some new tires while I was in Kansas recently, and these Sparwoods seemed to have a good reputation with many whose opinions I trust, so I was willing to give them a go. Having ridden them in varying gravel conditions I feel confident in sharing my opinions on these treads. When I purchased these tires, I did not have the liberty to weigh them, so I can only point to the Teravail spec on these tires, which is a claimed 690 grams for the 60TPI versions I chose. Hmm......that's a tad heavy, but the Teravail tires are supposed to have an under-tread flat protection, (only under the tread on 60TPI, bead to bead on the 120TPI versions), which is going to bring the weight up. That said, these tires seem to be a true 2.2"er, so that's not a stellar weight, just a tad heavy compared to many tires for XC in the 29"er world. Considering the design intentions- that these are to be tough, durable tires- I will give them a hall pass on the weight here. Now I want to get back to that flat protection feature for a minute. This will help explain why I went with the 60TPI versions, and why I would never go with the 120TPI ones. When most any tire is designed with a flat protection belt or some other means of armoring the casing, be that with an elastomeric material, Kevlar, or what have you, it stiffens the casing. It only stands to reason that it would, since almost every material used to help prevent flats has to resist puncturing, and that usually means something stiffer than rubber and nylon carcass materials which tires are made from. Adding anything to the casings, other than what you would have in a normal tire, not only adds weight, but thickness to that casing which is also going to make the tire less supple. As we're finding out more and more, less supple tires cause higher rolling resistance. I found that to be true with the Teravail Cannonball 38's with the bead to bead flat protection. Those tires, while probably being tougher than shoe leather, rode really harshly. Plus, they were shown to have a higher resistance to rolling in my testing. I did not like the way those tires performed or how they felt at all, and ended up trading them for a sixer of beer. Really. I think I got the better end of the deal there. Anyway, to further anchor my opinion, a friend has the 120TPI Sparwoods and is running them at 6psi-8psi below the minimum recommended by Teravail just to get them working in an acceptable manner for him. I have found that to be the case with flat protection 29"er mountain bike tires as well. I recall the GEAX TNT AM version of the Gato was such a tire. I ran it at least 5-8psi lower than anything else I had just to get it to feel right and roll without excessive harshness. That's okay for off roading, but you give up some to rolling resistance on harder surfaces just to get a ride quality that is similar to other tires out there. I just don't feel it is worth it to buy into the full flat protection for my riding. The Sparwoods showed their mettle on Kansan flint roads. There you have it. That's why I went with the 60TPI versions over the 120TPI versions, and the theory was that the 60TPI versions would actually ride nicely. Given that I am a heavier dude, I cannot really compare my pressure settings to my friends, but I have been happy at right around the minimum recommended pressures by Teravail, which is 30psi. The tire works really well, the rolling resistance isn't bad, and it feels nice. Not at all harsh. Looking back at the Teravail Cannonball, I cannot help but think that the 60TPI version of that tire outshines the 120TPI one by a country mile in terms of ride quality and rolling resistance. So much for that techno-babble. How do they do on gravel? Well, it isn't a bad tire, but I have found that it can be a bit squirrely on loose, deep gravel due to its very rounded casing. The Sparwoods also do a bang up job of squirting chunks of gravel laterally out from under the tires as you ride. I nailed my riding companion pretty good a couple of times this past weekend. I only mention that because it was told to me early on that these tires weren't supposed to do this. Well, so much for that theory! In the end, it isn't a big deal. On a typical gravel road, the Sparwoods roll fast, are decent feeling, and cornering is better than some others due to the tread pattern. However; it is when the gravel gets loose and marbley that you have to pay attention. Again, it is that rounded casing, and the stiffness right under the tread area that is to blame. It makes the Sparwood want to roll on rocks laterally rather than absorb the rocks. On high speed descents you can only hold on and go for the ride as the bike jumps sideways in the deeper gravel sections. The Sparwoods are keepers, but you'll have to forgive a few characteristics you may not agree with. So, in the end, these are okay tires, and probably pretty good ones if you are looking for a tougher, more cut resistant tire. They actually roll faster than the Maxxis Ikons I had on this same wheel set and bike before, although they are quite a bit heavier than those tires were. They do not toss rocks, which is something a lot of other tire designers could do well to keep in mind when designing a tread for gravel, and they roll well on pavement. They do squirt out rocks laterally, so warn your riding buddies! I don't care for the performance in deeper, loose gravel, but other than that I find them to be good treads. I won't belabor the stiffness complaints. Just stay away from the 120TPI versions if you value a nice ride feel and lower rolling resistance. Get the 120TPI versions if you are deathly afraid of flats or cannot afford a tire failure in a remote area at all. Leaving Prairie Grove Park we were watched over by a large Red Tailed Hawk on the line. That dratted bridge was out and that cost me. Well, it wasn't too bad, in the end, but when I found out the bridge over the Wolf Creek on J Avenue was out during the running of Trans Iowa v10, it put me into a panic. So, yeah.....it cost me a lot of unwanted stress, but after all this time, it is kind of a laugh now. I never went back after that Saturday night to see if it ever was replaced. I figured that there was really no other choice for the county but to replace it, but then again, in these times, weirder things have happened. So, it was always a plan in the back of my mind. The idea to go search for the new bridge, if it was there. I went on that quest early this Spring but was thwarted by a muddy B Level road or two. This past Saturday was "take two" on the quest. I was planning for a while to make this a combination of recon for the upcoming Guitar Ted Death Ride Invitational, and the quest for the bridge, so I had two motivations to get out there. A third motivation to get out on this long ride presented itself when I was texted by Marty, who asked if I was going on a gravel ride and if I was, could he join me? Of course, I said yes. So, we planned on leaving from the starting point of the upcoming GTDRI, Prairie Grove Park, and set a time of 8:00am to get started on the long day's riding. Looking at the old Geneseo School as we went on our way to Traer. I got out of the house a bit late, so I had to "time trial" it down to the meeting place, which was 5.85 miles from my front door. Most of that being bike path, so it went by quickly and I ended up being 1 minute late. (Sorry Marty!) I hate being late, but now I know I have to budget a little more time when I leave the house in a couple of weeks to do the GTDRI. Lesson learned! The day could not have been more perfect. It was in the lower 60's when we left with a light Southeasterly headwind. The day was drier, with low humidity. Really, a picture perfect day if ever there was one for riding on gravel roads. We headed out on the original GTDRI route which starts down Aker Road, but then it turns East to get over to Ansborough via Orange Road. The route then went all the way into Tama County before we turned East for one more mile to catch V Avenue South and then to a right on D-65 where that bridge was out for this year's Trans Iowa. That bridge is all in and complete, boding well for our quest to find the bridge intact over the Wolf Creek later on. Barns For Jason: Some rural decorative choices are a bit hard to understand, but.......oh well! Marty with his snack at our first convenience store stop in Traer. Anyway, after a brief stop and a chance to freak out the locals, we moved on. South out of town on P Avenue, where we would hit up one of my favorite B Level Maintenance roads. You can read about that and see an image in the post previous to this, so I won't get into the details of that visit. The corn is REALLY tall, and the gravel was REALLY fresh and deep in Tama County. We hit up this super fast and smooth B Level Maintenance road just before getting to J Avenue. We finally departed the GTDRI course at P Avenue and 220th Street where we went West and headed over to K Avenue where we would come back North a bit before jogging Westward again a couple of miles to set us up to be on J Avenue. Heading North, I saw no signs that would lead me to believe there was no bridge. I figured as much. The new bridge over Wolf Creek looking back South. The old bridge is forever immortalized in the film documentary, "300 Miles Of Gravel"
While we had turned out of the now steady wind coming out of the Southeast, we faced deep, fresh gravel at every turn unless we were riding dirt for a spell. The road coming to and crossing the new bridge was strewn with chunky goodness, making the road a real challenge to traverse. It didn't help that we had the infamous "Wolf Creek Wall" to climb! Leaving the Wolf Creek valley can leave a mark on your soul! That's only the first of a series of steeps that goes on for a mile and a half. The Wolf Creek Wall, again, immortalized as the cover shot for the documentary "300 Miles of Gravel", is only the opening shot in a mile and a half, or more, as was in our case, of painful steeps. We'd had it pretty easy up to this point on our ride, but if we were thinking we were in good shape, this section brought the truth home to roost! We both were really humbled by this section and I know I will need more of that pain to get ready for Gravel Worlds in a little over a month from now. Marty and I then climbed up K Avenue to Ridge Road and we cruised straight into the wind, as Ridge Road runs Southeast/Northwest, till we returned to Traer again. We could have gone North before getting back to Traer, but Marty said we should take the "prettiest option". That was Ridge Road all the way to Traer without question, so we went through the town again. You can see for many miles in any direction from Ridge Road. Marty was taking in the views on Ridge Road from his trusty Fargo. We stopped again at the convenience store for a refueling and refilling. Then we left Traer the way we had come in, but at T.F. Clark Park we went West for a mile then straight North. After a few miles we came across a lady on a riding lawn mower that was spinning her wheels, as if she was stuck. Marty motioned that we should stop and lend a hand, to which I agreed. We asked the elderly lady if she'd like us to push her, but before I could get the sentence out of my mouth she leapt up, got behind the mower, shoved it with a mighty heave, and sat herself back in the seat. Then she declared to us that she was used to getting herself out of her own messes. Now that's a true country gal! We were kind of befuddled, but she shut the mower off and we had a pleasant, short conversation before we bade her farewell and moved on down the road. Now, that was maybe enough oddness to expect for one gravel ride, but we came upon an even odder sight after we had taken a good long rest stop under a tree's shade on the road because my stomach was fighting me a bit. I had eaten a bit too much and my body was shunting energy to digestion and my mind was falling asleep! Anyway, I saw a blinking light bar up ahead, which is odd enough out in the middle of nowhere, but this was a accompanied by a string of about eight school buses parked on one side of a crossing road and up along our path. As we passed, we could see that this was a convoy of corn detasslers and a few vehicles ferrying the porta-jons they have to have to accommodate the youngsters who are hired to do this task. Apparently one bus had run into the back end of another, causing some significant damage. The kids were all restrained to sitting in the buses, and as we passed they hung their hands out the windows, waving at us vigorously. It was all a bit surreal, actually. Hope everyone was okay there! Finishing up a long day out on the gravel roads of Black Hawk and Tama Counties. And that's another for the Cup-O-Dirt tally! The ride ended up well, and I got home by 4:30pm, 8 and a half hours after the start. Well, actually a bit longer than that, since I had left the house before 8:00am. Anyway, a good, long day in the saddle with some interesting things to see. A bridge confirmed, hills climbed, and rocky roads conquered. Plus we got to see an odd situation with the detassling crew's bus accident. I am pretty certain I won't ever see such a thing again in my lifetime, nor do I want to, really. I was a bit surprised by the mileage total when I got back and checked it out. 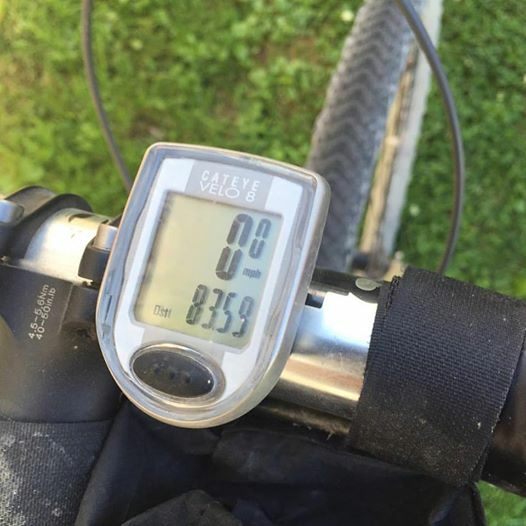 I was suspecting I had about 70 plus, but to have eclipsed the 80 mile mark was very surprising and satisfying. That will go on the Cup-O-Dirt Challenge totals for the year, and it will be a good base to build off of going into Gravel Worlds and the upcoming Guitar Ted Death Ride Invitational. Speaking of which, this ride was also a test, again, of how my dinged up shoulder will react to a bigger ride and that on the Gen I Fargo. I have determined that for now, the big rides will all have to be done on that bike, with that Luxy Bar, because my shoulder still isn't 100%. I can tell right away when I ride one of my other bikes and the left shoulder starts aching badly after about an hour into a ride. Not always, but many times yet, that is the case. This ride wasn't easy, by the way, and I fought the shoulder pain for most of it, but it didn't feel like I was really doing more damage. Just an annoying pain at different times during the ride. Being able to take advantage of all the different positions on the Luxy Bar rotates that left shoulder joint in different ways so I can keep from having it get hammered by the gravel vibrations. Otherwise I am not able to really get away from it on a more standard type bar. Thanks to Marty for the great companionship and I hope to get out this way again sooner. It had been far too long since I've ridden that way.